This thogayal is very healthy and tasty as well. Mix this with hot rice and have it with amla raita. 3) Add urad dal to same kadai and dry roast till color changes to light brown. 4) Turn off the gas and add curry leaves and saute for few secs. 5) Transfer it to same bowl to cool down. 6) In a small bowl add 1 tbsp of hot water to tamarind and allow it to rest for few mins. 7) Peel the outer skin of ginger and clean and cut into small pieces. 8) Add urad dal, red chillies, asafoetida, ginger, tamarind, curry leaves and salt to mixie and grind it once. 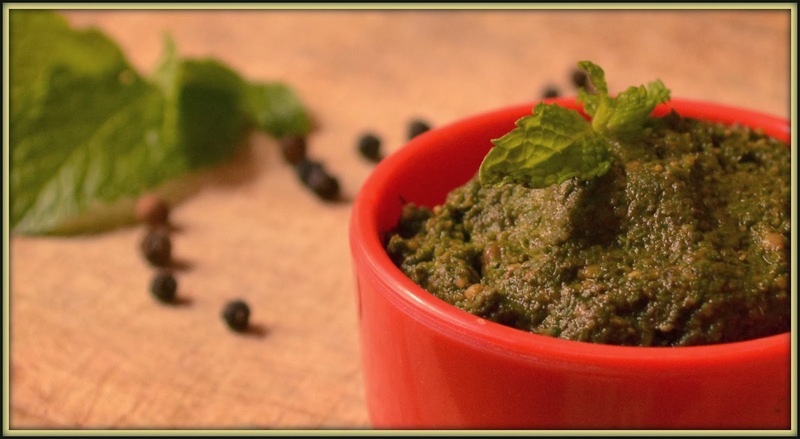 9)Add mint leaves and grind. Tasty thogayal is ready to be served with hot rice.